I own two dishwashers in two homes, different models from the same brand, bought in the same store, and both on a service contract. For the first one, the model number is SHE55R56UC; for the second one, SHE65T55UC. Today, we needed help on the first one, but customer service shipped us parts for the second one, which the repair technician discovered when unpacking them. As the model numbers have information embedded in them and the models are similar, the model numbers are similar too. If the customer service department ever investigates the cause for this error, it will most likely chalk it up to “human error,” and possibly exhort the clerk to pay more attention to details. Because everybody involved, at all levels, has been indoctrinated in the belief that “smart” part numbers actually are, they will fail to see how the resemblance between the names greased the skids for the clerk, and that the mistake would have been less likely if the two models had been called something like A97PQ and 1WC4R. It’s a small mistake: a delayed repair, a wasted service call, the expense of returning the wrong parts and shipping the right ones, and a dent in the company’s reputation for service. As an incident, it is much less consequential than a hospital giving a patient the wrong drug, but how often does it occur? 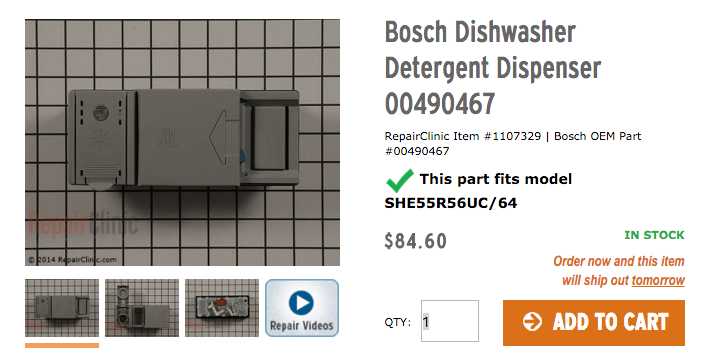 In aggregate, the flow of such incidents in all markets where these dishwashers are found translates to higher costs, degraded service performance, and more than a dent in the company’s reputation. But don’t blame the clerks! As long as you give products names that cause confusion, it will keep happening.